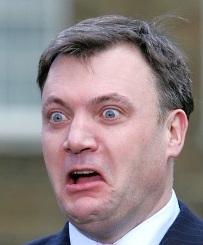 DAVID Cameron once called Shadow Chancellor Ed Balls the most annoying man in British politics. It was a brutal description, but perfectly true. I imagine it is even a badge Balls is quite proud of, in the same way a trouble-making youth has no qualms telling peers about his asbo. Indeed, in the scoff-fest of the Commons floor it helps to be highly annoying, it distracts your opponents and knocks them off guard and Balls is a master.